To start a race manually from a box, it must first have been set up in Sportmaniacs. If the race has more than one start, which is sometimes the case in races with a high volume of participants, you can set up all of the waves you need by following these steps. Click “Waves” in the dropdown menu of the event. Click “Create wave” in the upper right-hand corner. 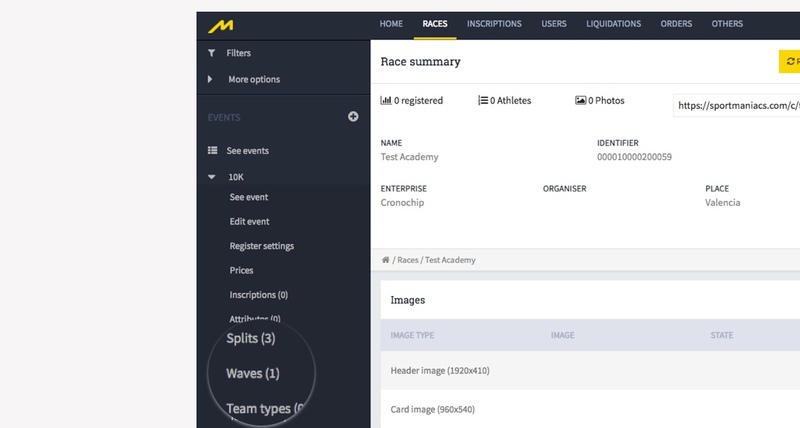 You can also copy waves from the same race by clicking “Copy waves”. 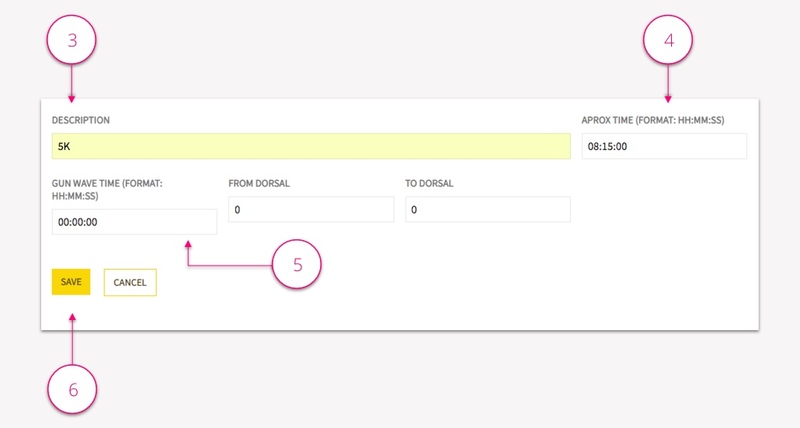 Enter a name that will help you identify the wave in the “Description” field. Complete the “Approx time” field with the expected start time. Leave the “Wave time” field at 0. If you need to create another wave click “Yes” in the pop-up window and repeat steps 3-7. Always leave the “Wave time” at 0. This field corresponds to the actual start time of the race and will be inserted from the box when the race is started. In the “Waves” screen, all of the waves you have created will appear. You can edit this information at any time by clicking on the wave. These waves will appear in the remotely connected boxes that have been configured for the race. Do you need more information? Send us a form with your doubts.